We are a team of experienced SEO & Internet Marketing professionals with proven record of providing first-class and affordable SEO Packages. Our SEO packages are well fine-tuned and will help you improve your SERP ranking on Google Search Engine which also results in better ranking in Bing and Yahoo Search Engines. All our SEO packages are Panda and Penguin safe! 1. Well researched keywords that is best for your website/online business. 2. Perform an SEO Audit of your website using the top 3 keywords (Order Extra Gig Free). 3. 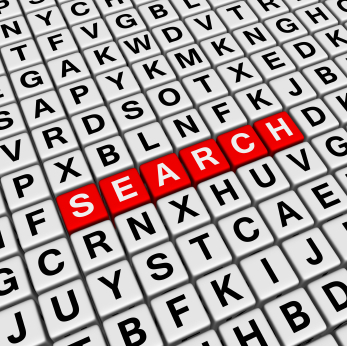 Submit 5 - 10 suggested keywords for your niche that could get you highly ranked on Google SERP. 4. Advise you on the main keyword considering your website niche. 5. Categorize the suggested keywords into Low, Medium & High Competitive Keywords. ALL KEYWORD RESEARCH ARE DONE MANUALLY. REPORTS WILL BE SUBMITTED IN .DOC FILE AFTER ORDER IS COMPLETED. We do not accept Non-English Language websites. We will suggest minimum of 5 Keywords. One Website URL per single order. Once the keywords have been submitted, any refund request will be denied. We are able to make changes to delivered order where necessary. All our services are white hat and shouldn't be combined with any black hat methods. It takes up to 5 days for this order to be completed as it involves a lot of work to be done. Please bare with us. To make your website web pages more search engine friendly, please check out the extras for this service. It is very important to make the website main page (that is, the homepage), at least, very search engine friendly, as well as adhere to all rules of on-page/off-page SEO. Any Question? Please fell free to ask us. Start your campaign today and take your online business/website to the next level! We are happy when our customers are happy. We are here to make you happy with excellent results! DO A KEYWORD RESEARCH FOR YOUR WEBSITE TO BOOST YOUR GOOGLE PAGE RANKING is ranked 5 out of 5. Based on 3 user reviews.